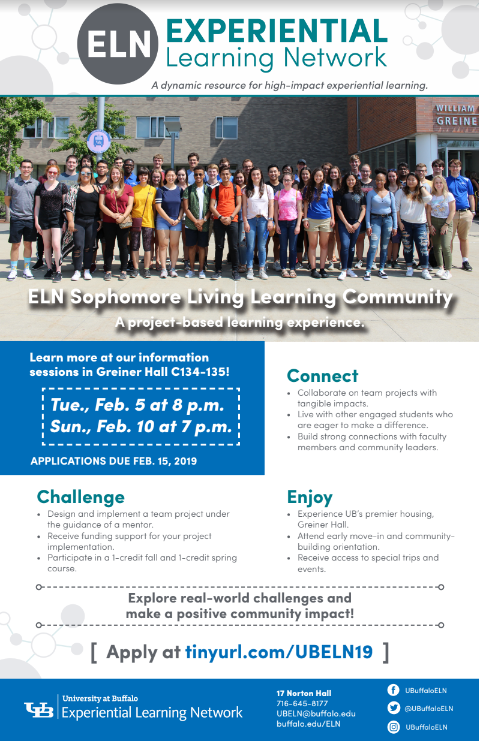 The Experiential Learning Network invites all current freshmen to apply to our 2019-2020 Sophomore Living Learning Community. This is a yearlong project-based experience for those who are ready to take their learning to the next level and make positive community impacts. Details on the program can be found in the attached flyer. 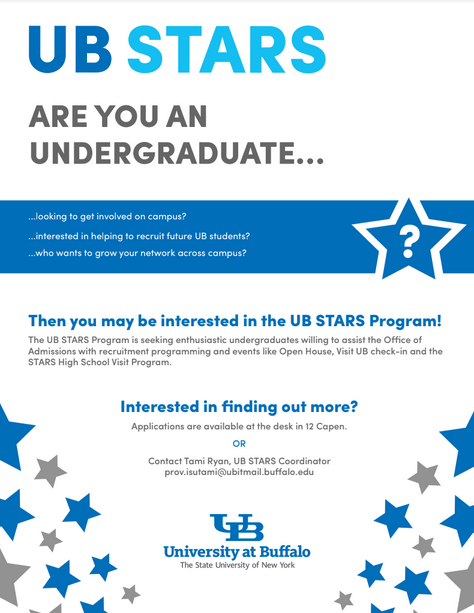 Your help in encouraging students to apply by the February 15th deadline is much appreciated. Students who wish to learn more should plan to attend one of the information sessions listed on the attached flyer. All are welcome to visit 17 Norton with questions or contact Charlie Baxter directly via email.